I am not sure why I had not thought to read art books with my boys during our 100 Days of At Challenge sooner but it's been a long time since we've done an artist study. We choose to study Henri Matisse this time. I purposely picked an artist that I did not know well so that I could learn alongside my boys. 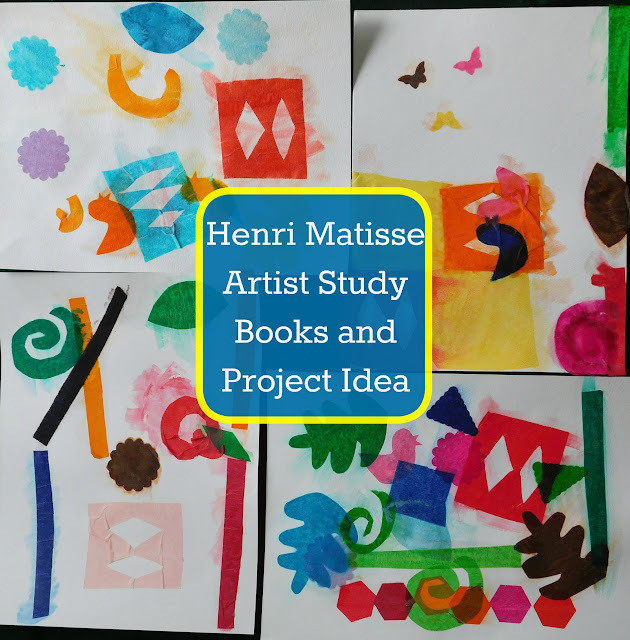 We read Matisse the King of Color, The Iridescence of Birds, Henri's Scissors and Colorful Dreamer: The Story of Artist Henri Matisse. These fabulous picture books gave us a great glimpse into the life of Henri Matisse. We then did an internet search for him and looked at all the images of his early paintings and his later collages. But that's just not me! I dragged out all the supplies for us to make our own paper collages. We looked a bit more closely at some of his collages and I cut a few of his more frequently used shapes out of tissue paper. Using watercolor paper, some watered down school glue, brushes and colorful tissue paper we set to work. My oldest participated this time too! What a fun idea! My kids would have a blast with this. It was a lot of fun. I told the boys there was no wrong way to put together a collage and they just loved that assurance. I need to pin this for our future lesson with Matisse. I love how each collage turned out. That is adorable. I love the art projects you come up with. I will have to try them with our nieces. Thanks for sharing at Home Sweet Home! Thank you! I do try to keep them fun and "new"! Wow those are great projects, Thank you so much for sharing at #familyfriday. Please come back next week. I love Matisse-inspired projects! 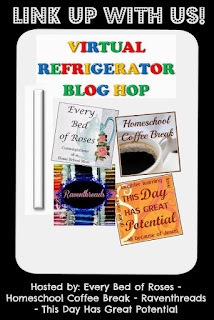 Thanks for sharing yours on the Virtual Fridge!